Dr. Kelsall has been my chiropractor since she started her practice in Portland. She and her staff have been a godsend. I have lower back problems as well as shoulder and neck issues, mostly due to arthritis. Without the monthly visits, my mobility would be severely limited. Dr. Kelsall’s treatments and a daily exercise regime are helping me to manage my arthritic pain. I began to see the benefits of chiropractic care at my first appointment with Dr. Kelsall. Having had spinal-fusion surgery, I felt like an especially challenging case. But after a few visits, I was surprised to find my chronic back pain completely gone. Issue resolved. 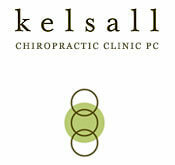 I recommend Dr. Kelsall without hesitation to anyone with back trouble of any kind. Dr. Kelsall’s knowledge, professionalism, and gentle touch—not to mention her warm and friendly staff—make going to the doctor something I actually look forward to. I can’t say enough about Dr. Rod and the treatment I’ve received in Portland. Feeling like you’re treated as a person and not an “appointment time” is such a nice change of pace. Her dedication to her craft is matched only by her general sincerity and kindness that resonates from her. I would highly recommend giving her a call if you want a Dr. that actually listens and wants to find the best way to fix and issues you may be having. Karen Kelsall has been my chiropractor for ten years. She has successfully rescued me from aches and pains with her gentle, caring, and efficient treatments and advice. I don’t know what I would do without her. The massage and office staff always deliver excellent service as well. Thanks to all. Dr Rod treated me multiple times a week for almost a year after a car accident. She is so friendly, positive and easy to work with! She made me feel very comfortable and at ease. I looked forward to coming to our appointments and working with her. We worked on chiropractic care, but Dr. Rod was also focused on helping me get better through physical therapy and exercises for long term care. I would highly recommend her. Dr. Kelsall’s clinic is a wonderfully warm and welcoming place to receive treatment. Great staff and care all around. Dr. Rod treated me throughout my entire pregnancy and into motherhood. She’s like a magic wizard who can make all my various aches and pains feel better. she’s also a delightful person to be around and I strongly recommend her. Having Karen as my chiropractor for the last 6+ years has proven invaluable to my job performance. As a PE teacher and an avid cyclist, my body gets a constant workout. When I see Karen regularly, I know that she and all her kind and well-trained staff will keep my body fine-tuned and ready to go. You can always count on cutting-edge treatment from Karen and a warm reception from everyone at the clinic. I look forward to my clinic visits, whether it’s for a regular check-up or for help with a specific problem. The staff is great and I always feel better afterward. I truly trust Dr. Kelsall in the adjustment room. And that’s the most important thing to me. I nearly broke my neck in an accident as a teenager and then sustained whiplash seven years later. The initial injuries eventually healed, but the long-term effects are very real. There’s not just one answer or one thing that will help with the chronic pain. Kelsall Chiropractic has offered me multiple tools and techniques to help alleviate my discomfort: ice, heat, massage, adjustments, stretches, exercises, back supports, spider tape, natural muscle relaxers, and many more. I honestly believe I have learned more about my body from Dr. Kelsall than I have from my MD. I also feel that Dr. Kelsall treats my body and my person. At the clinic, I’m not just a statistic on a standardized chart. I was raised solely on MDs. So in the beginning I was skeptical of chiropractic care. After 8 years, I am still surprised when my pain is relieved by a simple adjustment by Dr. Kelsall. My experience under the care of Dr. Kelsall has been truly life changing. I was recommended to the clinic for my chronic back pain by a co-worker. Dr. Kelsall quickly diagnosed my problem and put me on a regimen of at-home stretches and exercises, complemented with regular clinic visits. Having suffered with back pain for over a decade, I am amazed how much my pain has decreased and my range of motion has increased. I was having multiple monthly migraines when I made an appointment to see Dr. Kelsall. I could tell at our first meeting that I was in good hands. Dr. Kelsall found that my spine was considerably out of alignment and was probably the cause of my headaches. Within a couple of weeks of starting treatment, my headaches decreased in frequency and severity. Today, I am virtually headache-free. And I return to the clinic every month for a tune-up to keep me that way. Thank you, Dr. Kelsall, Margaret, and Amy. Karen is awesome. I have been seeing her off-and-on for the past ten years. She has been a great benefit to our whole family. I recommend her to anyone looking for a good chiropractor.